Many garage doors do not require entire replacement, but simply a makeover, and a significant proportion of homeowners would rather choose this option over the larger expense of installing new garage doors (which can cost considerably more). 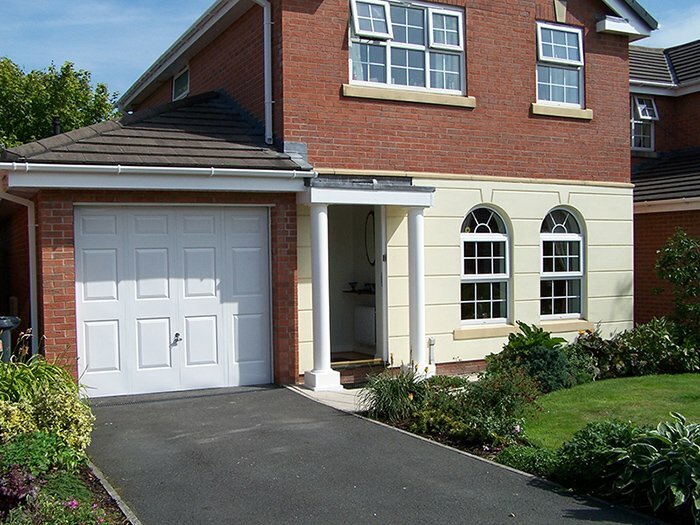 We are the authorised local installers of the revampz range of extremely lightweight door makeovers that can be easily fitted to 75% of existing garage doors. 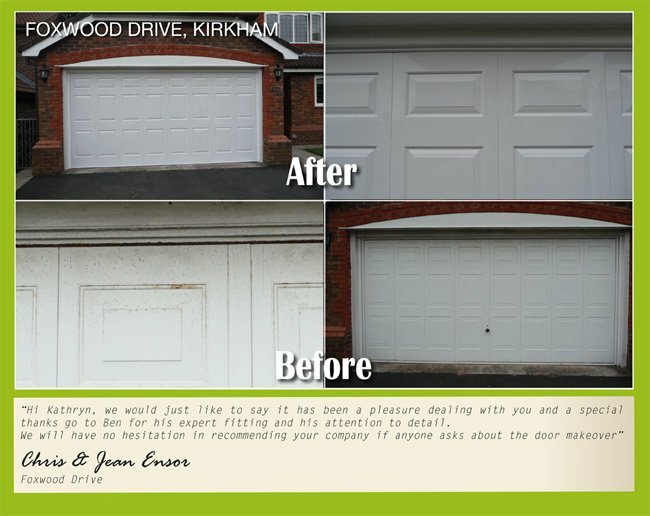 We understand that a large number of customers have a garage door on their property that does not need a complete replacement. 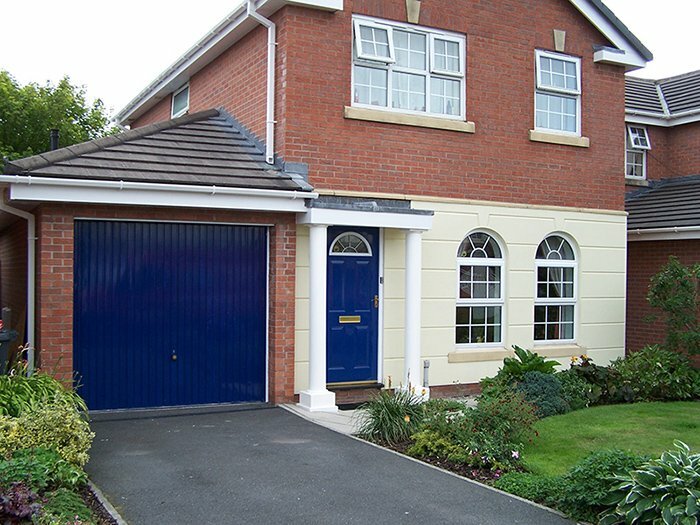 We offer a maintenance free garage door makeover service which is much more cost effective than a new door (of like for like quality and style). Why Makeover your garage door rather than replace it ? Many new garage doors manufactured today are made from flimsy, poor quality panels and working parts. The springs and pivot arms are not made to last. This is mostly due to the cost . Older garage doors were made from much heavier gauge steel and the working parts were far more substantial and built to last. Often they are only replaced because of their tired cosmetic appearance or old fashioned style. Or sometimes because they are heavy to open because they have not been regularly serviced by a specialised garage door engineer. 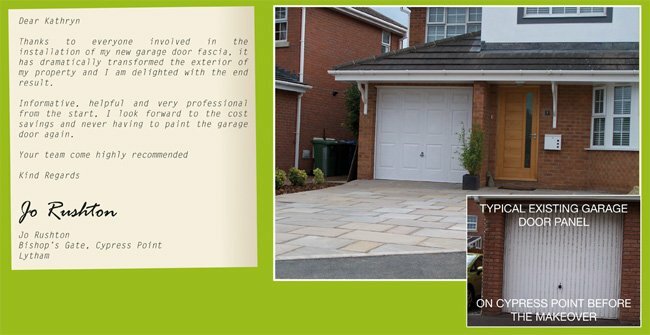 Did you know that in 75% of cases your existing garage door can be serviced and safety checked and fitted with a fascia makeover. The end result will be a much stronger and more secure, long lasting garage door, complete with insulation for a fraction of the cost of a new like for like style or design. In fact a new door cannot compare to your existing door with a face lift because modern doors are not made to the same specifications of garage doors from yesteryear. In most cases a modern door will require replacing in less than 5 years. Remember your existing door may have given great service of between 10 & 20 years and will still have many years left in the working parts and with our unique, insulated fascia upgrades you will save money and maintain high security. This especially applies to bespoke or double sized garage doors. We offer a free, no obligation safety check and advice regarding the suitability of your existing garage door to be restored. You can see more before and after images on our latest news page.